Robert, Leah y Peter en Ibero. By Julian Fernandez Mouján . 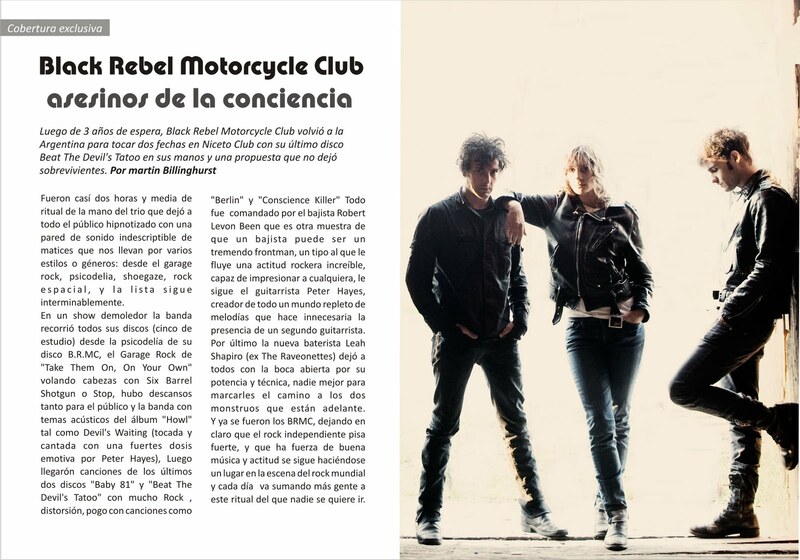 BLACK REBEL MOTORCYCLE CLUB: La entrevista. Parte 1. Parte 2. Very good interview. Very interesting questions. After these amazing 3 songs… Interview talking about… things! Rebellion der Motorrad-Gang und der Ringtones. Von Marlon Brando inspiriert sprechen BRMC über BRMC, Erfolg und Fahrstuhlmusik. Robert Levon Been about changing his name, his father (R.I.P. ), his childhood & meeting Peter Hayes. Robert Levon Been about turning down commercials, their basement in Philadelphia, Nick Jago & new drummer Leah Shapiro. Clarence Knight and Leah Shapiro, the newest member of iconic indie rock Black Rebel Motorcycle Club, talk bikie gangs, the devil, playing with rock n roll royalty and driving real fast with the windows down! Thursday 22 Jul 2010 11:31p.m. Rebels beating the devil’s tattoo TUE, 06 JUL 2010 5:43 A.M. Thanks again to Peter Hayes! 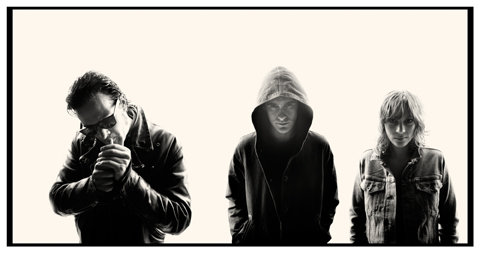 Interview: Still Hot & Sweaty In Leather, Black Rebel Motorcycle Club. Black Rebel Motorcycle Club admit they over romanticised England before they came to the country. Black Rebel Motorcycle Club are all revved up. Long Way Down: Black Rebel Motorcycle Club’s Beat the Devil’s Tattoo is the reverb-heavy rockers’ most cohesive LP yet. Peter Hayes of BRMC on his favorite album of all time. Friday, Feb. 26, 2010 | 3:11 p.m.
BRMC: Whatever happened to my rock n roll? Intrepid Pitch photographer Scott Spychalski ventured to Lawrence this past Saturday to shoot Black Rebel Motorcycle Club‘s show at Liberty Hall. He also got to chat with front man Peter Hayes. View a slideshow of the concert here: Go Go Gadget Slideshow. 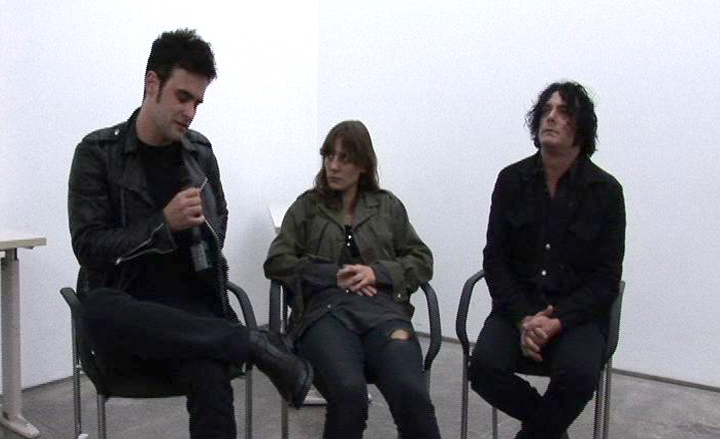 Black Rebel Motorcycle Club stops by Vlaze Studios for a chat on Rock Remedy. BLACK REBEL MOTORCYCLE CLUB, talks about the nature of reality and the philosophy of music. JAKEB SMITH knows true happiness. Posted October 25, 2007 at 12:05 a.m.
Soundcheck: Peter Hayes of Black Rebel Motorcycle Clubby Shelley Peckham on Thu, 2007-09-13 13:01. RCA Records Los Angeles is home now for members of Black Rebel Motorcycle Club, but the melodic garage-rock band got its start in the Bay Area. Frontman Peter Hayes chats Baby 81 and future plans. The Rock N Roll Magazine met saw Black Rebel Motorcycle Club when they were visiting DK. Robert Levon Been from Black Rebel Motorcycle Club gave an interview after the concert which was played in Christania. PART 2 OF AL’S ITERVIEW WITH ROBERT LEVON BEEN from AL D TV. PART 3 OF AL’S INTERVIEW WITH ROBERT LEVON BEEN from AL D TV . Revving Its Engine: With its fourth album, Black Rebel Motorcycle Club wasn’t ready to shift into neutral. Uneasy Riders: These Black Rebels are through with the introductions. Watch our exclusive chat with the leather clad rockers from Black Rebel Motorcycle club about their new album, the UK music scene and a new format for festivals. BRMC = “Boldy Romantic Manly Children”? Moody? Uncommunicative? Surly? Deep seated hatred of the press? Quite possibly on drugs? Blimey, you must be a member of Black Rebel Motorcycle Club! Really though, we had a chat with guitarist Peter Hayes and he seemed very pleasant. Peter Hayes unveils BRMC’s fourth album, ‘Baby 81′, track by track & we play you each song in full in our two part album special.